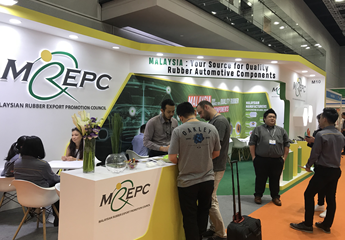 MREPC had a promotional booth at the biennial Automechanika Kuala Lumpur held in Kuala Lumpur Convention Centre from 21 -23 March 2019. The event attracted more than 8,000 visitors and about 300 exhibitors from China, Europe, Malaysia, Taiwan, Singapore and Middle East countries. The Deputy Minister of International Trade and Industry YB. Dr Ong Kian Ming visited MREPC's booth after the opening ceremony. Five Malaysian rubber automotive component manufacturers also participated at the show, namely HML Auto Industries, Schmaco Auto Parts Industries, Jeb Auto, Associated First Rubber and Kossan Industries. The majority of enquiries received by MREPC were from local visitors as well as visitors from China, Australia, Russia, Turkey, Philippines, Hungary, Thailand, Sri Lanka and Spain. Most of the enquiries were on parts for passenger vehicles such as hoses, industrial gloves, CV boots, engine mountings, car mats, seals, gaskets, beltings and O-rings. During the exhibition, MREPC in collaboration with the show organiser held a Buyers' Sourcing Programme on rubber automotive components. 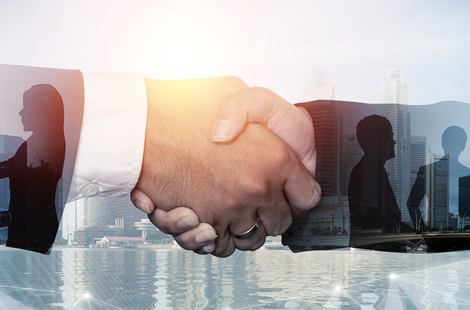 A total of 10 business-matching sessions were coordinated between potential foreign buyers and Malaysian rubber automotive component manufacturers. As part of the programme, MREPC also organised factory visits for the foreign buyers to Associated First Rubber and Pong Codan. The Buyers’ Sourcing Programme provided an effective platform to showcase Malaysian manufacturers’ capabilities in producing quality rubber products as well as the opportunity for overseas buyers to source rubber products directly from Malaysian manufacturers. Potential sales of more than RM100,000 over the next 12 months were reported by the participating manufacturers. 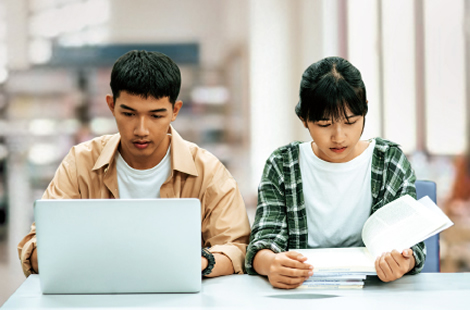 MREPC will organise a working visit to Jakarta, Indonesia from 28 April – 1 May 2019. MREPC’s Chief Executive Officer, Mr John Kasilingam, will lead the delegation. The working visit will focus on promoting the usage of quality engineering rubber products from Malaysia in the construction sector in Indonesia. Meetings with several Indonesian engineering consulting firms have been arranged to explore possible collaboration with Malaysian engineering rubber product manufacturers. The meetings will provide a good platform to introduce Malaysian quality engineering rubber products, particularly High-Damping Natural Rubber Bearings (HDNRB) as well as other products such as bridge bearings, expansion joints, dock fenders, and rail pads that are suitable for the Indonesian construction sector. 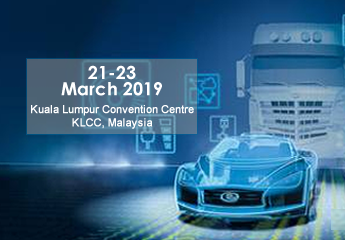 MREPC will participate in the biennial Automechanika Kuala Lumpur (AMKL) at Kuala Lumpur Convention Centre from 21 - 23 March 2019. The event, which is Malaysia’s leading regional trade fair for the automotive industry, will target trade visitors from ASEAN. 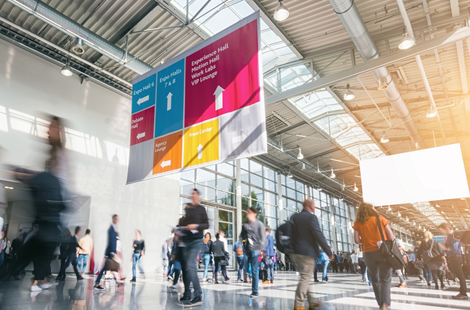 Themed 'Sourcing, Training, Entertainment', this edition of AMKL will introduce three new product categories, namely 'Repair & Maintenance', 'Dealer & Workshop Management' and 'REIFEN' for the tyre segment. 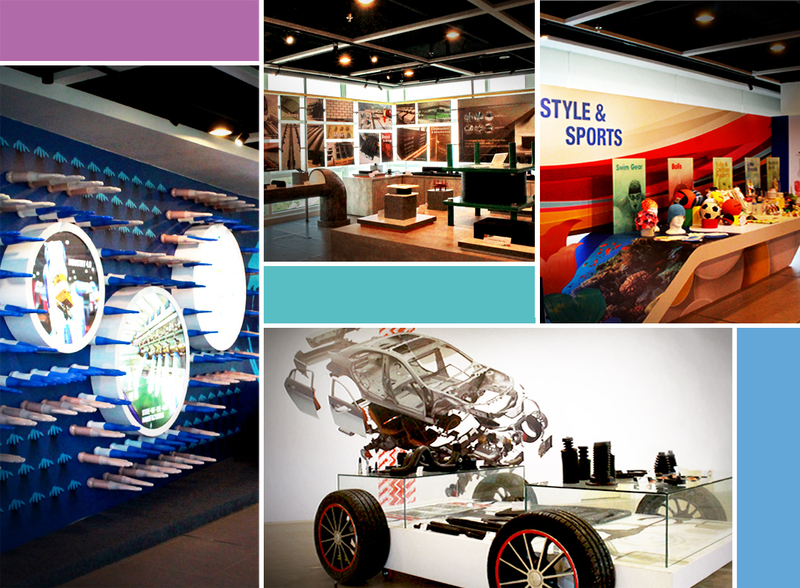 With 300 exhibitors and more than 8,000 visitors expected at the event, AMKL serves as an ideal platform for local and overseas industry players to source automotive components and services; get the latest developments, trends and insights on the automotive industry; and build business networks. 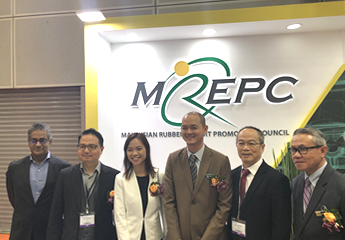 In conjunction with AMKL 2019, MREPC is organising a Buyers' Sourcing Programme on rubber automotive components and precured treads. 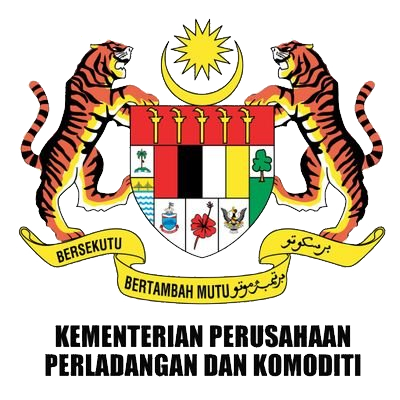 MREPC will arrange business meeting sessions between potential foreign buyers and Malaysian rubber automotive components manufacturers, as well as organise rubber product factory visits for the foreign buyers. Come and visit us at Hall 4, Booth M10 to find out more about high-quality rubber automotive components made in Malaysia. 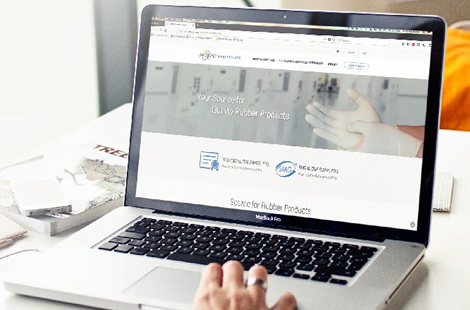 With continuous expansion over the years, Arab Health is the largest gathering of healthcare and trade professionals in the Middle East and North Africa (MENA) region as well as an ideal platform to source medical supplies. 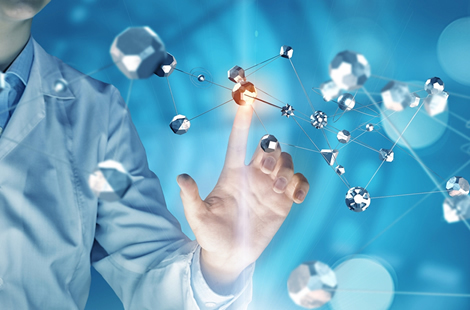 The 44th edition of Arab Health was held from 28 - 31 January 2019 in Dubai, United Arab Emirates. 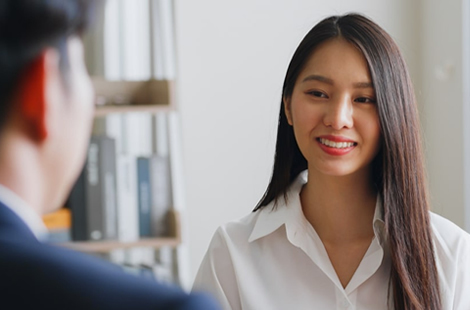 A new feature, the Innov8 talks, was introduced for all start-ups and small and medium enterprises (SMEs) focused in the field of healthcare. 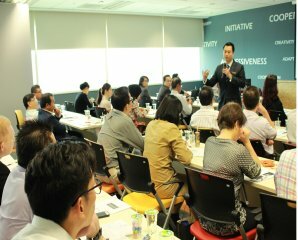 The Innov8 Talks, which took place at the new Innovation Hub, comprised 8 pitches each lasting 8 minutes. 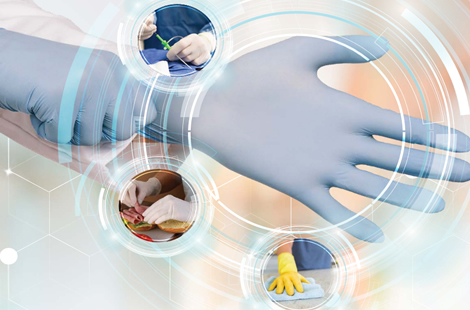 MREPC together with 12 Malaysian rubber medical device manufacturers participated at Arab Health 2019, to showcase and promote high-quality made-in-Malaysia rubber medical devices. This year the MREPC Pavilion, which took up a bigger space expanding to 132sqm from 105sqm previously, was located in a new venue at the upgraded Pavilion Hall. 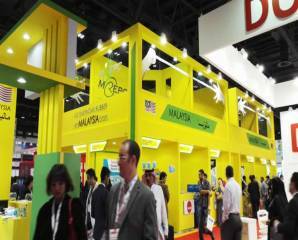 MREPC's vibrant pavilion with its iconic corporate colours - canary yellow and lime green, succeeded in drawing a significant number of people. Nearly 3,000 visitors visited MREC's pavilion with more than 2,000 trade leads recorded. 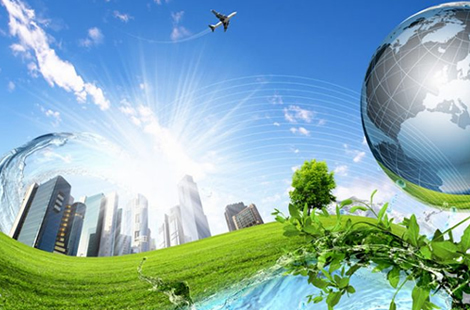 The enquiries received were mainly from Middle East, South Asian and African countries. The participating Malaysian manufacturers reported promising potential sales for the next 12 months. Most of them expressed satisfaction with Arab Health 2019 and looked forward to participating in the upcoming edition which is scheduled to be held from 27 - 30 January 2020. 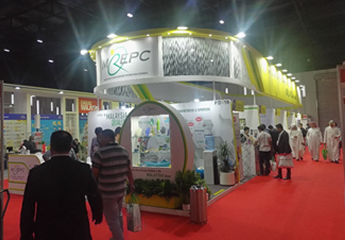 MREPC's vibrant pavilion drew lots of visitors. Prime Minister Tun Dr Mahathir Mohamad reiterated today that the third national car and the automotive industry are crucial to the country. Speaking at the opening of the 2019 Malaysia Autoshow, Dr Mahathir said that in 2018, based on statistics from the Malaysia Automotive Association (MAA), Malaysia exported vehicles worth RM2 billion, while the automotive components exported amounted to RM12 billion. 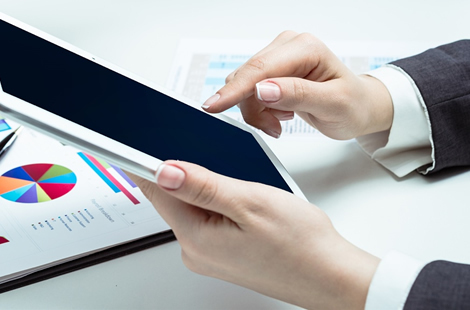 The US Food and Drug Administration has published a finalized list of accessories to be designated as low-risk Class I medical devices in accordance with the FDA Reauthorization Act of 2017 (FDARA). FDA's final rule will go into effect May 13, 2019. Copyright ©2019Malaysian Rubber Export Promotion Council. All Rights Reserved.